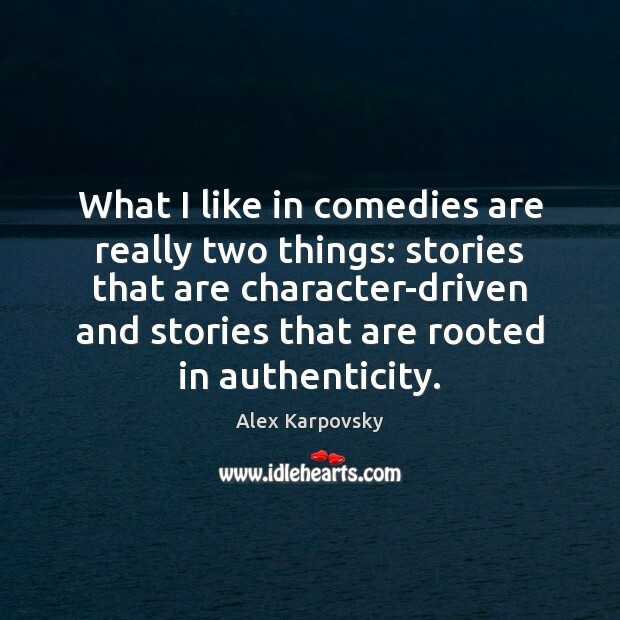 Enjoy the best inspirational, motivational, positive, funny and famous quotes by Alex Karpovsky. Use words and picture quotations to push forward and inspire you keep going in life! 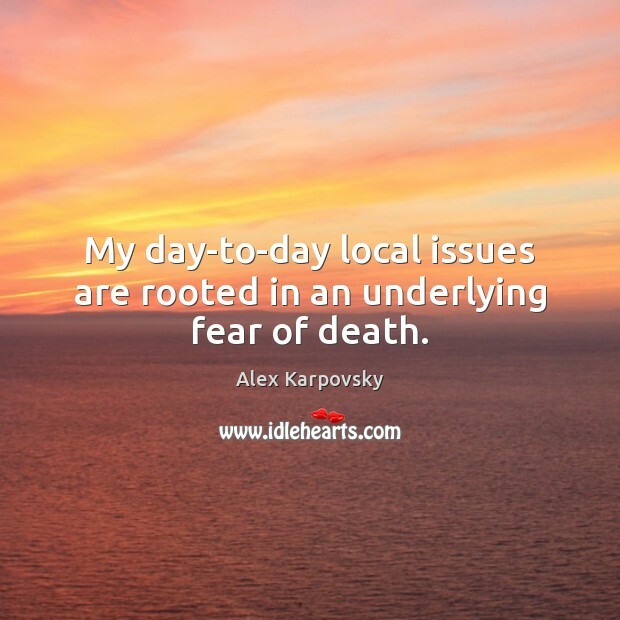 My day-to-day local issues are rooted in an underlying fear of death. 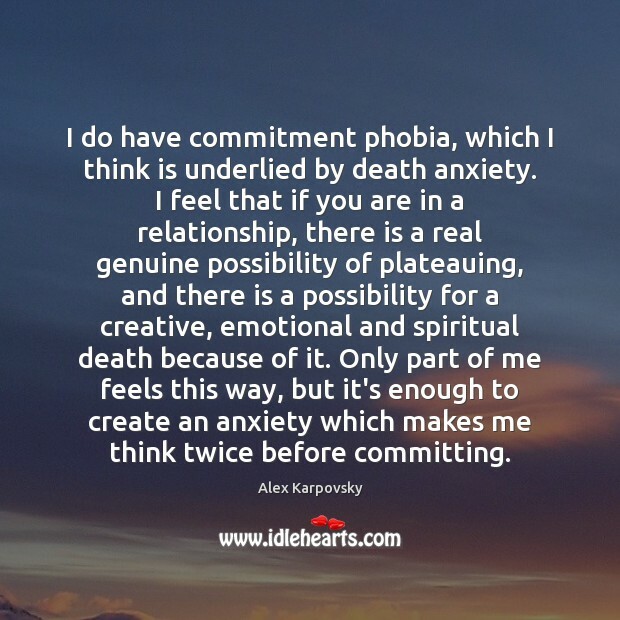 I do have commitment phobia, which I think is underlied by death anxiety. I feel that if you are in a relationship, there is a real genuine possibility of plateauing, and there is a possibility for a creative, emotional and spiritual death because of it. Only part of me feels this way, but it's enough to create an anxiety which makes me think twice before committing. 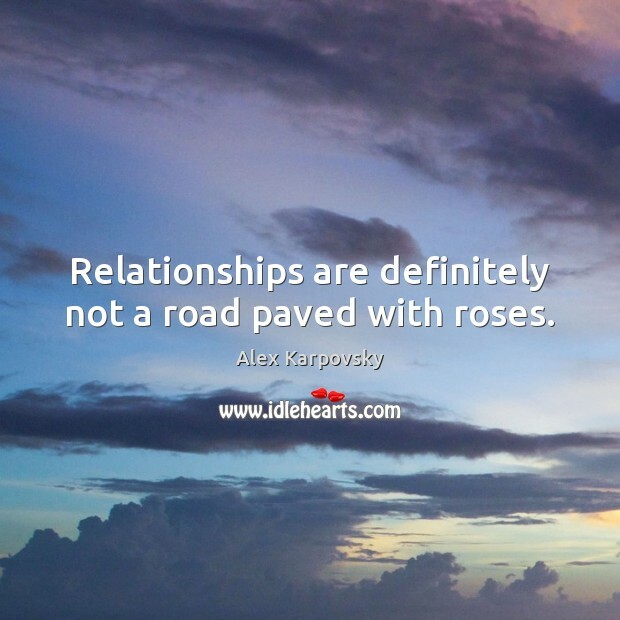 Relationships are definitely not a road paved with roses. What I like in comedies are really two things: stories that are character-driven and stories that are rooted in authenticity. If you film a scene in a wide shot, especially a disturbing, distressing moment, I do feel like that helps you feel as though youre the room with these people, instead of cutting it up and getting close - which you wouldnt be doing if you were actually in a room with these people. 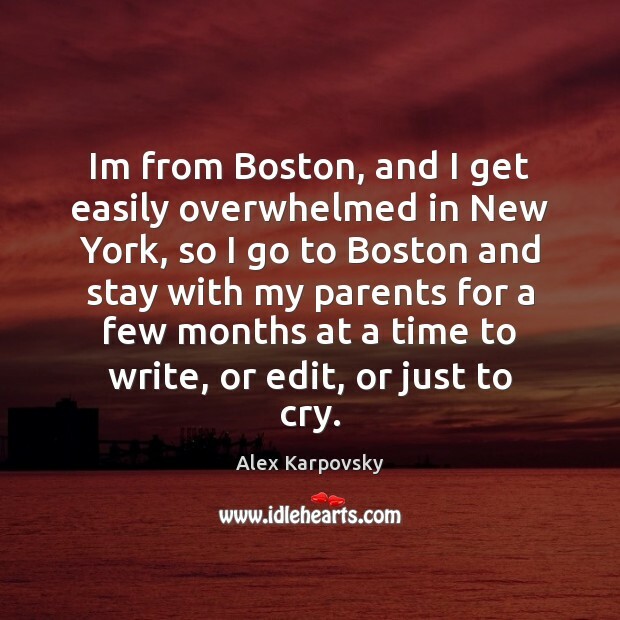 Im from Boston, and I get easily overwhelmed in New York, so I go to Boston and stay with my parents for a few months at a time to write, or edit, or just to cry. 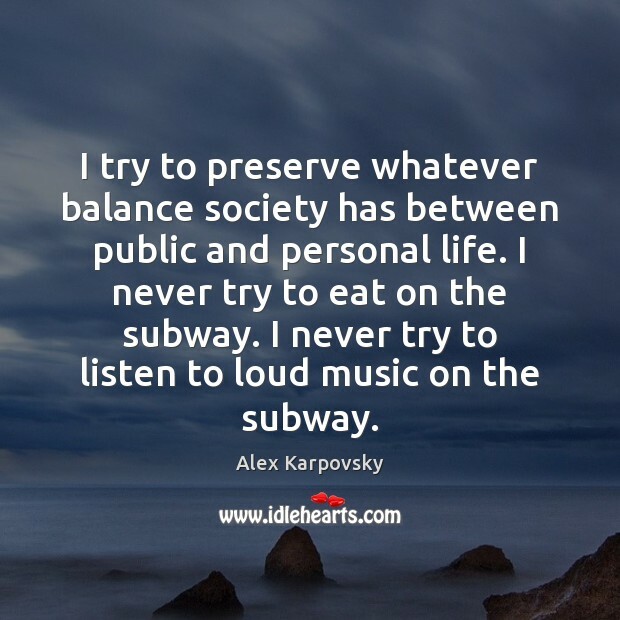 I try to preserve whatever balance society has between public and personal life. I never try to eat on the subway. I never try to listen to loud music on the subway.